Ex-professional baseball player Jake Longly adamantly refuses to work for his father, wanting no part of Ray's PI world. He prefers to hang out at his beachfront bar and chase bikinis along the sugary beaches of Gulf Shores, Alabama. But Ray can be persuasive, so Jake finds himself staking out the home of wealthy Barbara Plummer, a suspected adulteress. The mission seems simple enough hang around, take a few pictures, sip a little bourbon. Except Barbara gets herself murdered right under Jake's nose. When Jake launches into an investigation of his target's homicide, he quickly runs afoul of Ukrainian mobster Victor Borkov. Aided by his new girlfriend Nicole Jamison and Tommy Pancake Jeffers--his behemoth employee with crazy computer skills--Jake tries to peel away the layers of the crime. 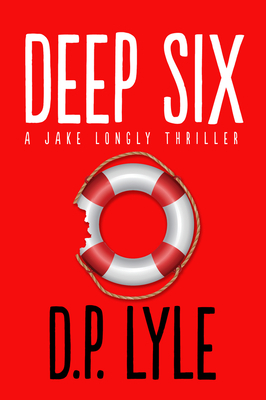 The deeper the intrepid trio delves, the more murders start to pile up, leading them to Borkov's massive yacht where they just might be deep-sixed.